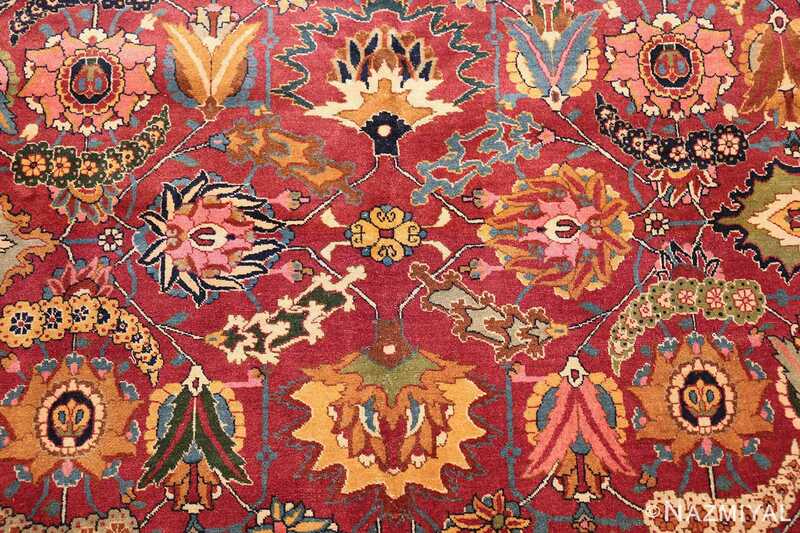 Here is an absolutely astonishing antique Persian rug: a magnificent Sickle Leaf Tabriz that positively radiates elegance. 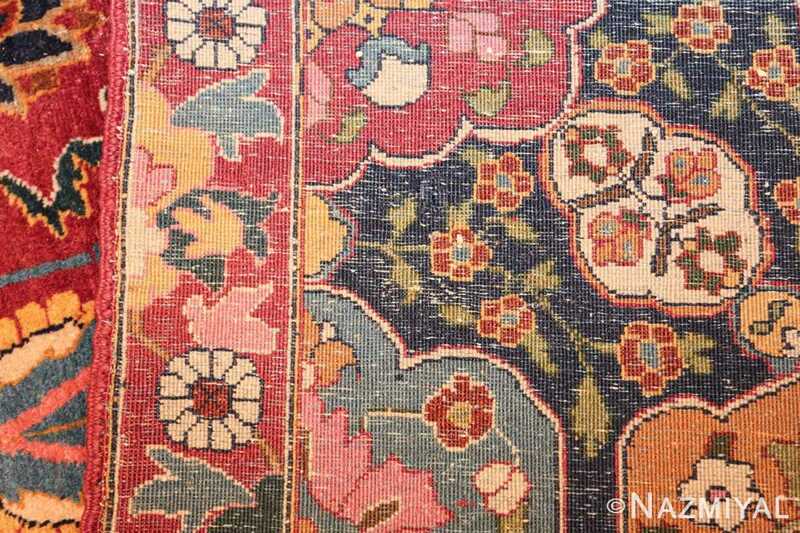 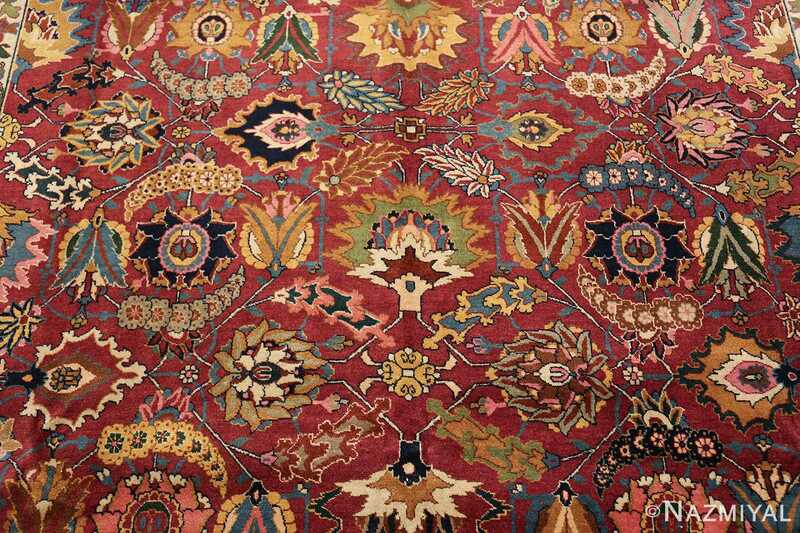 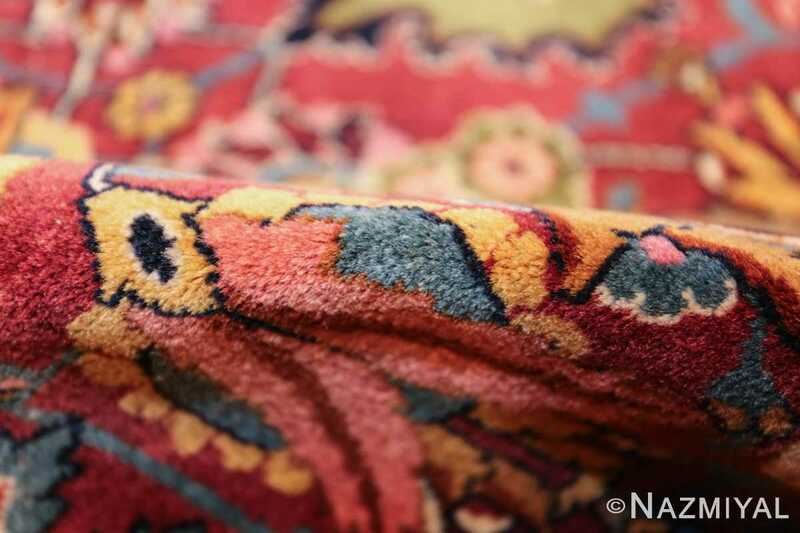 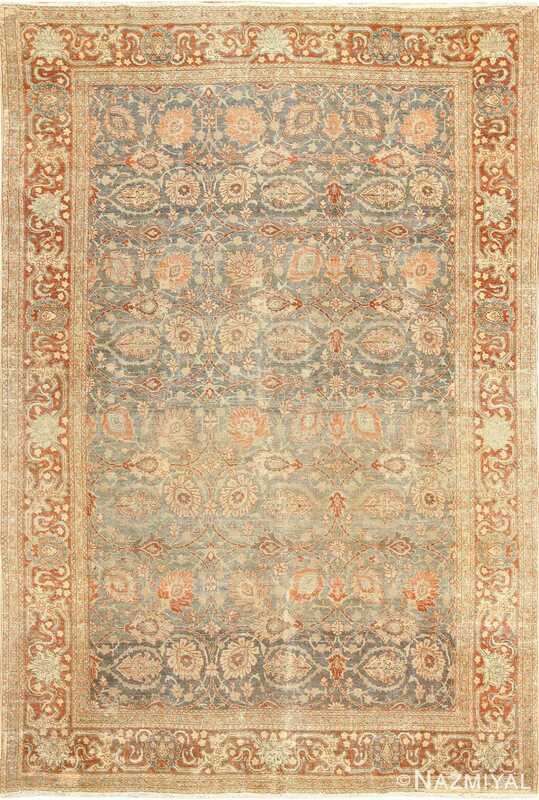 Its masterful composition and inimitable quality affirm its status as an incredible antique rug. 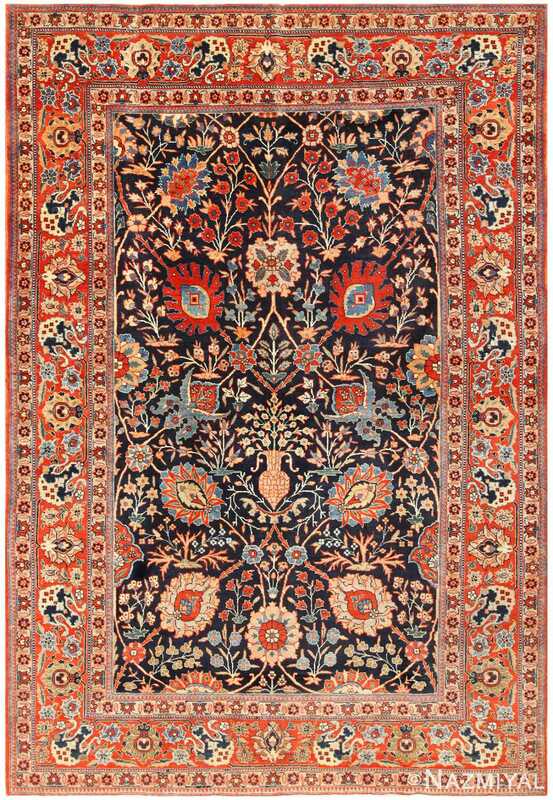 Vintage Persian Tabriz Sickle Leaf Rug, Origin: Persia, Circa: 1920 – Here is an incredible Persian rug: a Tabriz rug resplendent with the much sought-after sickle leaf design. 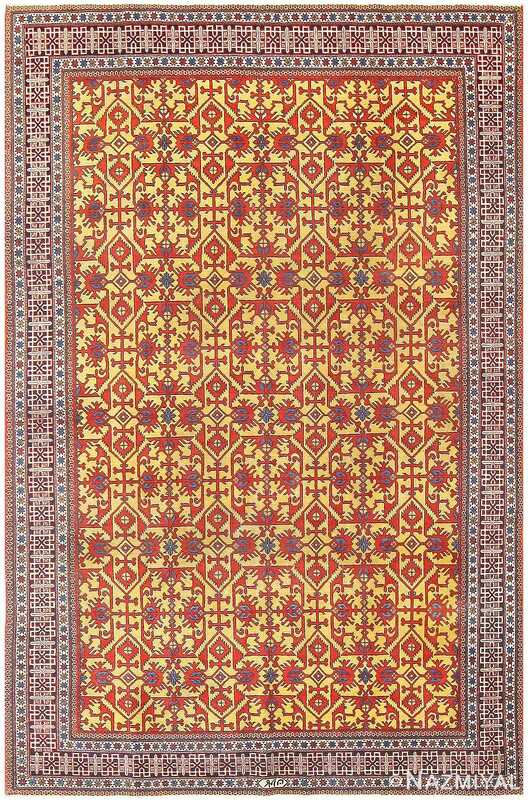 This design motif is widely considered to be among the most desirable of all design styles, and can be found decorating the fields of some of the most expensive and fabulous antique rugs ever sold. 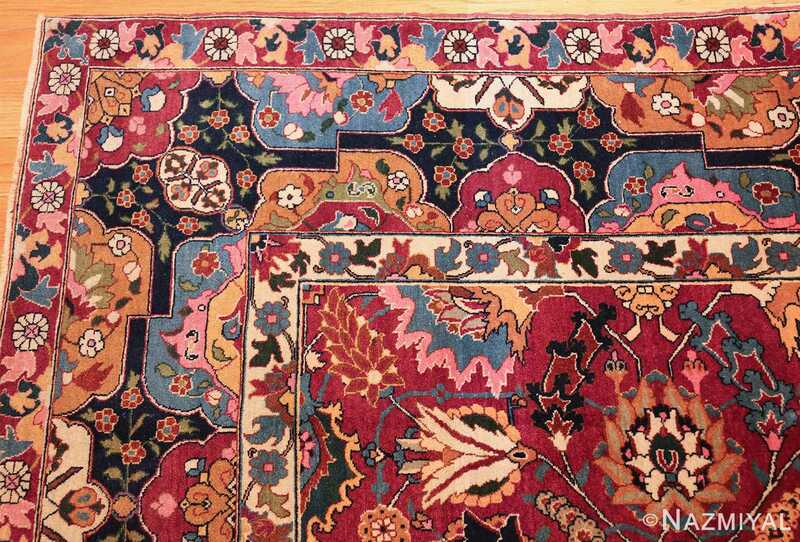 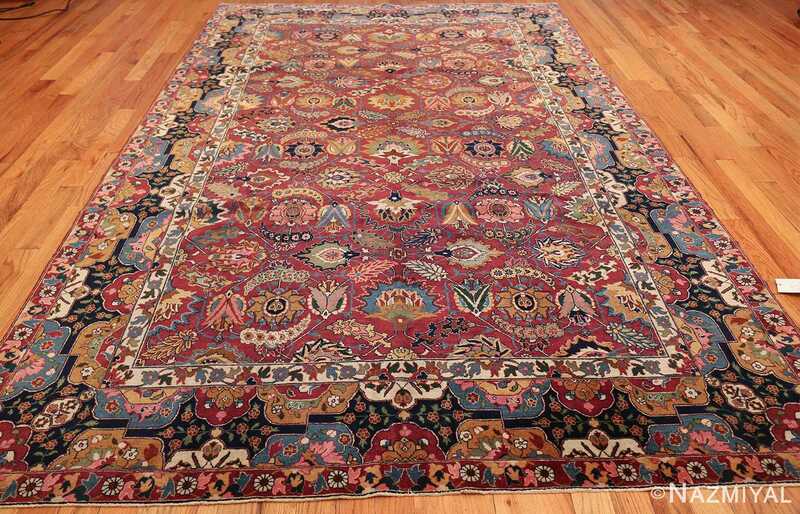 This particular Tabriz is practically exploding with color, its whimsical, bright pallet standing somewhat in juxtaposition with the classical look and feel of the design. 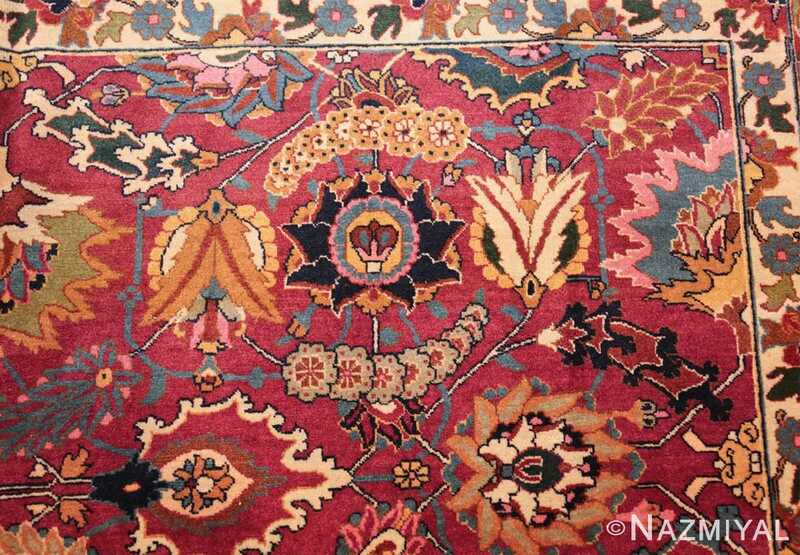 Bright pinks and oranges stand out brightly and boldly against the field of red, while bright shades of purples and greens give the detailed floral work of this piece tremendous life and vitality. 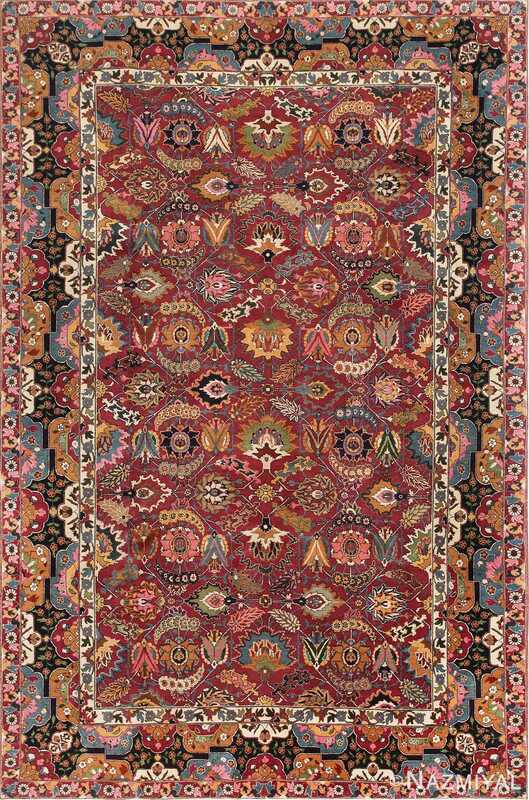 The incredible border is practically overflowing with incredible, gorgeous detail – which is especially alluring against a narrow strip of black that frames the entire piece. 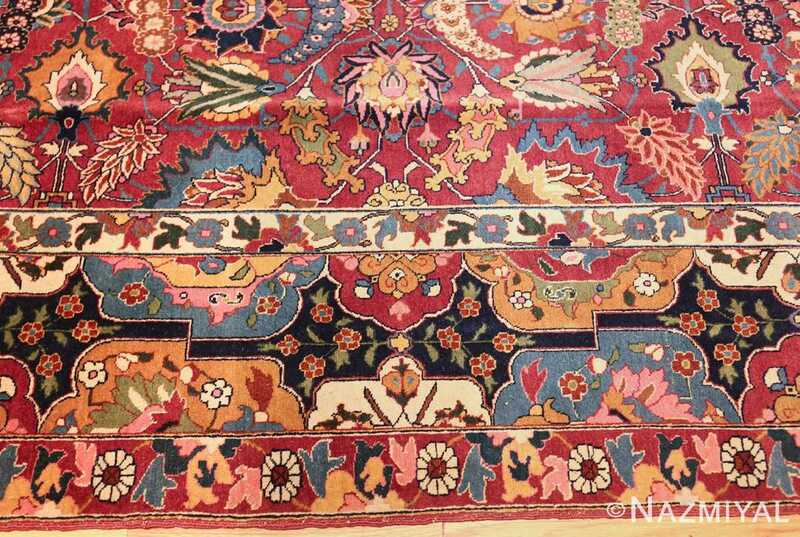 This masterful Tabriz, with its unorthodox yet harmonious bright colors and its inimitable design, is a brilliant example of the aesthetic and technical prowess of the great Persian rug-makers.